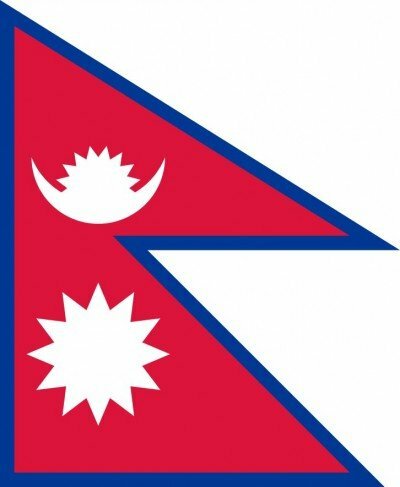 “Things are normal”, responded my friend by phone from Kathmandu. “Nothing has changed”. Oh dear; this means the situation there remains dire. Not a good sign—too much like news of a terminally ill relative. Nepal has fallen into a troubling, dysfunctional state of ‘normality’ which has little to do with last year’s eruptions that destroyed villages, leveled temples and schools, killing almost 9,000 people in and around Kathmandu Valley. The county’s capital, a city of four million, needs to awaken from its comatose state, a condition that may seem an outcome of the earthquake, but in fact is a result of deep-seated endemic problems:– bad leadership, misplaced and mismanaged development policies and funds, factionalism, and an over-dependence on India. Yes, Nepal generates news: Britain’s Prince Harry was there helping out—not the political mess but something easy, like water pipes or village schools. A major newspaper devotes a full page to 3-D printers being introduced to isolated villages (their residents still live in tents waiting to rebuild homes crushed by the earthquake). Because hoteliers are readying tourist comforts and trekking trails are reopening, progress appears to be underway. You’ll find instagram images of spectacular glaciers and color-splashed youngsters frolicking at festival-time. Those unable to experience Nepal firsthand can order quality fabrics and carpets produced by foreign-run factories using advanced technologies there. For the spiritually minded, Patan’s ancient Hindu temples are being restored and yoga retreats can be booked online. Image-makers provide appropriate graphics for those who continue to deny Nepal’s reality—that is, a nation absent basic services for its people and where government responsibility is hard to find. Winter has moved on so those cold nights without fuel have passed. But (unrelated to the earthquake) millions of Nepalis face ongoing hardships and bleak prospects about the democratic benefits promised them –first by the introduction of multi-parties, then by the ceasefire with Maoist rebels, then by the king’s ouster and declaration of Nepal as a republic, and finally, last summer, with the passage of a new constitution. A long delayed agreement (after eight years) over the constitution may have been hastened by pledges for earthquake relief. In July, only weeks after the frightening upheaval, extremely generous relief funds were committed, and presto the interim parliament approved the constitution. In those intervening years of delay however, in response to new freedoms of expression and the trashing of Nepal’s Hindu kingdom that denied civil liberties to the majority, ethnic awareness flourished. Once-marginalized localities and social groups insisted that their rights be built into the new constitution. The Constituent Assembly patched something together to accommodate miscellaneous demands from multifarious interest groups. One community, the Madhesi, who inhabit the strategic band of Nepal bordering India were unhappy. Feeling left out, their leaders objected by declaring an embargo that effectively closed the border with India where Madhesi enjoy dispensations and cultural affinity. Although India’s government denied any role in the blockade it was accused of cooperating with the Madhesi. This landlocked country with few industries and declining agricultural production is deeply dependent on India for basic commodities, especially cooking gas and transport fuel. Life came to a standstill. Not only was earthquake reconstructionstalled millions slid into deeper misery. The incompetence and worthlessness of Nepal’s democratic government was irrefutable. To worsen matters, people with money could drive to the border to purchase whatever they needed, and the most enterprising among them bought up supplies in India to sell at extortionist prices back home. Corruption, already out of control, increased. Still enjoying press freedoms, Nepalis vigorously debate their endemic crisis; political parties are flourishing, drawing into their ranks men and women still hopeful of redemption through legitimate democratic means. But many feel hopeless. What is most worrying is an incapacity of party leaders or any other authority to rise above personal and minor ideological squabbles. The successful Maoist revolution of the 1990s cannot be revived since Maoist leaders have joined the roster of present day corrupt and incompetent officials. Remarkably (beyond India) foreign sympathy for Nepal remains high. Although tourism is a minor sector of the economy, it dominates the country’s public profile and helps bolster the important NGO sector that is a more critical although limited part of the economy. Why aid-giving democracies don’t want to step in and help with the dysfunctional democracy here is a mystery. Nepal stumbles along from festival to festival.